Just last week, my wife informed me that she made reservations at Phantom Ranch, down at the bottom of th e Grand Canyon for November 28. Biking, not hiking, is more my sport – but since she was gracious enough to join me for a 4-day bike ride through Germany, Austria & Switzerland this summer, I cannot now refuse her invitation for a 2-day stroll down the Grand Canyon. Hiking the Grand Canyon requires preparation. 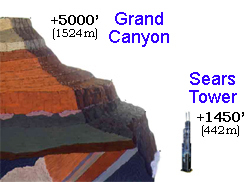 The nearly one mile of elevation change is akin to climbing three times the height of America's tallest building, the Sears Tower in Chicago, in a single day. Facing the Grand Canyon, I face two choices – ignore or prepare. Control engineers across our customer base face the same two choices - ignore or prepare - each day regarding the protection and backup of their automation systems. And, based on recent participation by PAS on various industry panels, most control engineers favor the “ignore” option when it comes to managing change and/or backing up their automation systems. 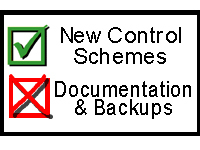 Although their IT counterparts are all over change management and backups for the company’s business systems (people need to get paid, they say), the control engineers by and large say that they have no daily change management or backup process for the automation systems for which they are responsible (even plant production may be jeopardized by their failure). The control engineer’s attitude is like me assuming that I can ignore any preparation for hiking the Grand Canyon – which of course if obviously foolish and only asking for trouble. So… as much as my body may not want to prepare, I will force myself to do so – by telling myself again and again that the time invested in exercise and preparation is necessary to avoid both disaster and embarrassment (the latter being especially important since my wife already hikes 2-3 miles per day on the mountain near our home in Phoenix). Similarly… our control engineer friends need to remind themselves of the danger of not enforcing a daily change management and backup process for their automation assets. Not doing so can lead to disaster and embarrassment. Although nobody disagrees with the need, it just seems so hard to do – after all, backups and change management are the LEAST exciting part of the job, right? Which is exactly why we at PAS have developed the Integrity Change Management software – to allow the control engineer to automate the backup and change management processes for any automation assets, and focus on the more exciting bits of the job – increasing production with new control schemes and more. Jokingly, we have introduced the control engineer’s hero as Super IntegrityMan. Now if only there was a way to still satisfy my wife’s requirement of my hiking with her and not have to endure all that preparation and pain. Super CanyonMan – are you out there?? © Copyright PAS 2006. No part of this blog is to be copied in full or in part without the express written permission of PAS; but references and web links are more than OK! Great info, thanks a lot!!! I wish I will have such a writing skills. This may seem like a weird qustion regarding Phantom Ranch. But do you know if they still offer the Junior Ranger patch if you visit them? Thank you and take care.